What makes Ontdek Kenya's online educational travel unique for the student? - Ontdek's student travel team is led by a director with a teaching background, so your needs as a student are clearly understood and your learning interests are taken care of in a fun but educational way. We owe you a tour that can hopefully in one small way even trigger a choice in a career. 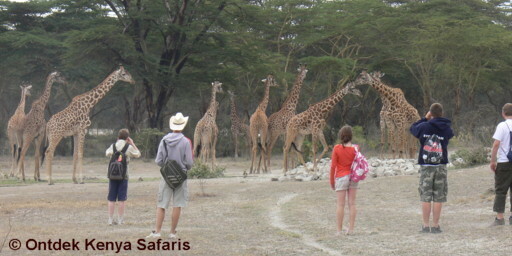 - Our educational tours in Kenya is not an all-vehicle-bound affair in crowded national parks. You will enjoy visiting private game conservancies and the small national parks that are full of easy to see game while on walking safaris. Nothing beats the experience of enjoying a guided walk with clear sightings of giraffes, zebras and gazelles. You will not be cooped up in a safari bus throughout the trip, we have a variety of activities from visits to prehistoric sites, bird watching, cultural visits etc. - Your student travel is not restricted to the standard safari rule of morning and afternoon game drives. We go for maximum time in the field but we will also have time to relax. See sample itineraries of our student travel to Kenya. 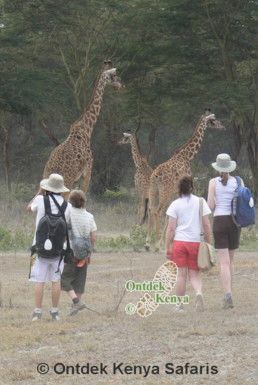 For a consultation on educational tours in Kenya contact Ontdek Kenya Safaris .